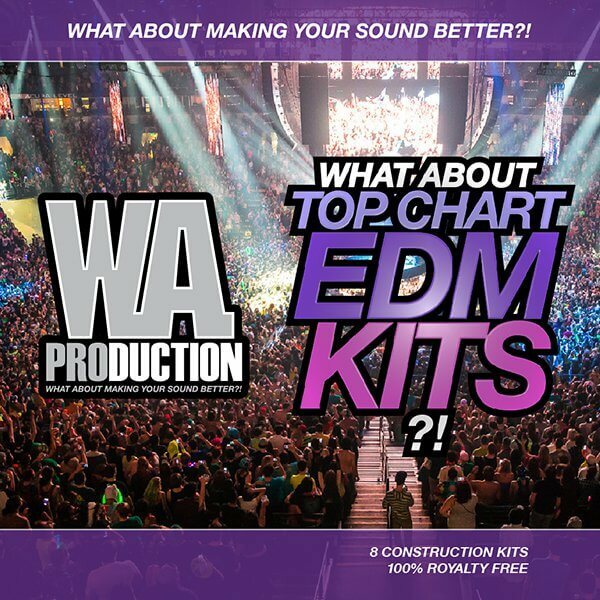 ‘What About: Top Chart EDM Kits’ from W. A. Production brings you eight fantastic EDM Construction Kits inspired by the biggest and best sounds and producers out there. Every single track is stuffed with huge drums, FX, synths and vocal samples. Uniform tempo of 128 BPM, key-labelled Big Room kicks, massive buildups, drops, melodies, MIDI, and much more awaits you. Everything 100% Royalty-Free. ‘What About: Top Chart EDM Kits’ contains over 200 big, melodic samples and loops and MIDIs. Inspired by the most famous producers such as Martin Garrix, Showtek, Thomas Newson, Afrojack, Jay Hardway, Sidney Samson, Deorro, Moguai, Firebeatz, Quintino, and many others. Drop tracks are rendered with sidechain and without to give you maximum freedom. Everything is 100% royalty-free and ready to drag and drop right into your mix. What About making your tracks world-class?